Fix Your Sweet Cravings Anytime, Anywhere! Thursday | October 13, 2016	Ever encountered a last minute office celebration? An almost forgotten anniversary? Or simply too tied-up with your hectic schedule to get that cake order placed for that important occasion? Bet that we have all been there, done that! Life is so much simpler with Bakerzin’s e-store feature! 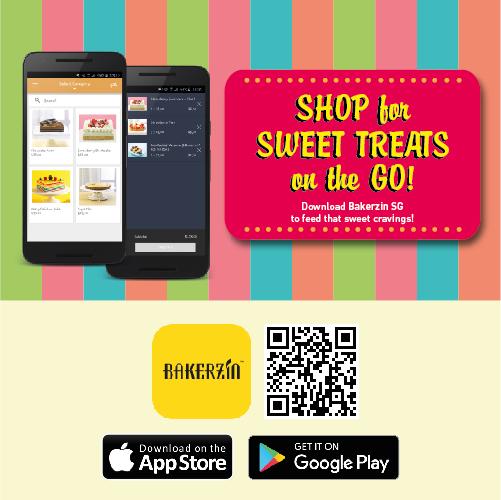 You can now order any sweet treats at your fingertips! Bespoke messages, personalized little touches like candles and convenient hassle free delivery is also available. Moreover, be assured with our secured payment gateway by Visa or Mastercard. Enjoy greater benefits with Bakerzin Rewards Programme, earning bonus$ and rewards, on Bakerzin App, available for download on iOS Appstore or Google Playstore. Indulge now and life is so much sweeter with Bakerzin!